Yea ex 5SQN, that might come up later. After more research I had settled on the brake booster that'd be suitable. The OEM E30 one is a bit too wide and has been known to contact the M52 intake manifold. Heaps of fixes have been found for this, from denting in the OEM booster and shaving the manifold fins (I wouldn't recommend) to fitting Porsche 924 boosters. I decided to go with the Renault Clio booster. The one you want is from the model that has plastic front quarter guards (~2001). Seen below is the Clio booster on the left with E30 on the right. The Clio clevis pin hole needs to be bored out to 10mm to accept the E30s clevis pin. You will need to also need to add a ~1" extension to the rod that acts on the master cylinders piston as it is shorter on the Clio (can be seen in photo). With the M52 on a stand, I lockwired the oil pump nut (reverse thread) due to it being known to catastrophically rattle loose. Some sweet oil varnishing can be seen. I was worried about the weight of the wire throwing the pump off balance but figured the pump doesn't spin at too higher RPM and the weight is close to the centre of rotation. Also this method is tried and tested An oil pan from a M50 E34 was fitted along with the corresponding oil pick up, dipstick and dipstick tube. If you happen to come across a wrecked E34, grab the throttle cable while you're there as this is also needed for the conversion. Pictures of a bracket I made to support the oil tube as I missed the OEM one from the E34 I sourced parts from. Next on the list was the dreaded wiring. I had the complete M52 loom on the garage floor and basically sat there for nights on end with a multi-meter, trimming away at wires that weren't needed either due to the E30 not having the tech to support or from the auto trans wiring that obviously wouldn't be required. This was probably the bit that took the longest and was the most stressful as the fruits of the butchering wouldn't be seen until it came time to turn the key. At which point there may be a lot of other factors preventing the car from starting. What made the wiring challenging was the difference in wiring diagrams of different generation E30s. Wiring differs from PFL to FL, 4 cyl to 6 cyl and country of origin etc. It basically came down to a lot of trial and error and piecing together different wiring diagrams to make one that suited my E30 body loom. These diagrams helped me so I thought id list them up. At the end of it I had something that looked like this... I cut a engine side of the plug off of an E30 and the body side plug from the E36 to make a bridging harness between the E30 body and M52 engine. While the wiring was being carried out, I also had other sub-projects going on that I could turn to when the wiring was getting too tough. The M52 140 amp alternator got a tidy up... I pulled apart the cluster to replace the odo gears. They were fine but are known to give up when they get close to 200,000kms old. I also had to get a 6 cyl coding plug to fit into my 4 cyl cluster so the RPM would be correct. Also tutu'd with some nail polish and the needles. Bought a set of BBS RSs. Pulled them apart and ordered some new lips that'd make them a bit wider and also sit flush to the guards. 1st step was the strip, then onto some media blasting. I painted the faces a shade of OEM silver from a Honda (cant remember which code). They came up pretty good and with the new lips looked the part. But I started to wonder if the 15" was a bit too small for the offset I was trying to pull off. Bought some suspension off someone on this forum. They had slotted front disks, Koni adjustable dampening shocks, H&R Sport springs, E90 drop hats to lower it an extra 1/2" and reinforced rear strut mounts. Replaced the front seats with the same type of cloth but they were mint. I also managed to track down a SE steering wheel and side skirts. Fitted up an IS front lip. Bought some 15" basketweaves and generally just enjoyed the car for awhile before pulling the heart out and wrecking it. Heres a couple of pics of the car out and about, in-between various stages of wheels before the engine swap. After all the projects I had followed, I soon realised that the actual swap probably wasn't going to be a weekend job. Sharing the E46 was doable, I could car pool other days or... I'd have the perfect excuse to buy a new daily for the "daily". Collecting the E36 was the first drama in this project. We made the drive from West Auckland to Tauranga one Sunday morning to drive the car back. I figured if I could somehow get some fluid into the transmission, that it'd spring back to life and i'd be driving back to Auckland under its own steam, much to the horror of the people i bought it off. No cigar. Stuffed around for ages driving the car up onto a curb to get under and try and force feed it the ATF fluid. It wasn't going in. About 5 hours had gone by and my GF and our friend who had come along for a "quick" roadie was starting to get over it. Pressure was on. I still had 1st, 2nd & 3rd gear available in the blue E36. Traffic was light so i thought I'd try and limp it home. Again, no cigar in sight. Car was revving higher than i was happy with and i could see the temp gauge was more inclined to lean to the right. We made the decision to leave it at a random gas station and head home. 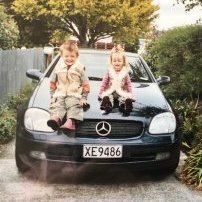 The following day I drove to work, put in leave, picked up a ute and trailer and headed back down to Tauranga with the ever patient GF. All loaded up we headed back to Auckland. CIGAR. I quickly started to pull the E36 apart to see the condition of the cams as an indication of oil changes. The engine showed some varnishing and the coolant system seemed to have been topped up with a lot of hard water in its time. At this stage I still had an ear to the ground to see if a better motor would pop up but there wasn't really anything available. Being a running car, I was able to check the compression of all the cylinders. It was all even and within factory specs so I was happy. Work began on pulling it all apart, selling bits I didn't need to fund the project whilst still tinkering away on the E30 that was still my DD. My search for rust on the old girl had luckily been coming up empty apart from a little bit around the trunk seal. That only required a wire brush, some rust converter, paint and a new seal. I continued to remove the grime that had built up over the past 26ish years. Parts started to pour in from Pelican Parts and FCP Euro. I purchased any seal that was a worry on the M52 as I wasn't keen on pulling it out of the E30 in the future. Crank seals, oil filter housing seals, vanos hose, cooler thermostat from factory, metal impeller water pump, new radiator, electric fan, valve cover seals, filters etc. The E36s engine and ancillaries were all disconnected from the body and was ready to be pulled out. This was made much easier by the fact that the radiator support can be removed (a few bolts and two spot welds from memory). The engine lifter was able to slot in and take the weight of the motor with ease. Seals fitted and motor tidied up. Was starting to look like a tidy package suitable for the E30. After a couple of years, I've decided i should try my hand at writing up a build thread.  This will be part member intro, part way to capture images but also to try and give back to the forum since it has helped me with my project a lot! 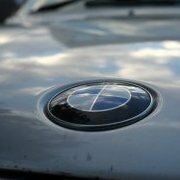 Some history about how I came to fall in love with BMWs. I had recently sold a MK4 Golf and didn't have a huge budget which made trying to find a respectable car pretty tough. I had only really dealt with Japanese cars before the Golf (Toyota Surf>Mitsi Mirage>Nissan Skyline 300GT>EG civic>Mk4 Golf) and was always told to stay away from euros for their price of parts and unreliability. My girlfriend however had an E46 and I couldn't believe how much car she got for so little money. 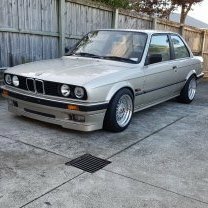 I thought I'd risk it and venture out into the realm of old BMWs and see what $4k was able to get me on TradeMe. The 3 series was were I started to look as the 5s, 7s etc were out of my budget or if cheap enough would require a lot of work that my limited knowledge wouldn't cater for. I wasn't keen on E36s as i thought they were too "bogan" or "hori" due to the examples I had seen (completely different story now). E46s were ok, coupes were expensive, sedans were a bit boring but super comfy. I then decided to go older and came across the E30. Holy carp. Those quad headlights. That boxy '80s shape. I researched and researched. Compiled a list of common faults and went out and viewed a couple. My checklist (so I thought) was fairly basic. Coupe, no sunroof due to the potential rust, manual, 4 cyl due to them being cheaper, white, <200kms, but most importantly a straight rust free body. I searched for a couple of months and was starting to get desperate. I had only come across rusty bodies, fiddled wiring, or cars that were just generally pretty badly beaten up. I then saw a post on facebook and headed out that night to view at a mall carpark. The misses and i saw it roll into the carpark and we couldn't help but to grin at the wee car. A quick look over showed that it was in good knick apart from the noisy lifters, ripped seats and gross wheels. I took it for a drive and then decided I wanted this car (June 2016). Some history of the car. 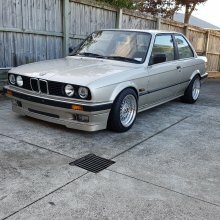 Built in June '90 and then sold in NZ by Team McMillan BMW in '91 as a NZ new 316i. Its a Bronzit Beige coupe that was about as poverty spec as it got. Manual, wind up windows, M40B16 engine, no sunroof, unpainted bumpers/mirrors etc, no spoiler, tan cloth interior. "Mr Black" the original owner, took good care of it by the looks with regular servicing carried out at the dealership. It was then sold through the family to his daughter where it most likely served as the boring daily driver. Somewhere along the line it had been purchased by the guy i was buying it off. The car became my daily and I was absolutely in love. It was completely stock but people still stared at it. Then this weird thing happened... strangers were waving to me who happened to be sporting the same old german car. I started looking up club pages and found all the perfect examples for sale I had been looking for! Oh well, I was stuck with my beige four banger and couldn't have been happier. The noisy lifters started to be a bit of pain in the neck and was starting to get so noisy that people were no longer turning to look at the car, but were turning to look for the ticking time bomb. I researched into replacing the lifters but that soon became too expensive for what it was. I saw a build with a M52 but that was going to be WAY too hard and out of my league. Meanwhile the old M40 is starting to get REALLY loud. No amount of oil changes/additives were fixing it. I then looked into doing a M20 swap which seemed like a good idea, so i started down that track. Finding a good example however became quite hard and parts availability was also a concern with the ageing motor. Back to the M52 swap it was and many a night was spent seeing how hard it actually was. Thanks to the help of the forums and facebook I slowly started to accumulate the parts needed for the 24 valve swap. Now I can start talking about the interesting stuff. Stage one was the donor car. I wanted a donor car as that would be the safest way to see the motor running plus i knew I'd be able to cannibalise parts off of it. I came across a cheap E36 328i that had went into limp mode. After some poking around I found that the cause for the limp mode was low transmission fluid due to a trans cooler leak that hadn't been looked at "after it stopped leaking" aka no more ATF. This would be the perfect car to pull apart and I didn't feel bad at all due to the poor interior/exterior condition (November 2016). I know that safety is the highest priority, but that just seems like over kill. Surely a comparison between the oem and new rack would show not alot of difference. I'm just trying to think if the rack casing is an ali alloy or not, other wise I'll have to have steel spacers made as opposed to the ali ones my mate made me. I wonder if these kits would work for bump steer. https://groundcontrolstore.com/collections/e30-bump-steer-correction/products/bmw-e30-e36-e46-adjustable-tie-rods-bmw-e36-e46 https://catuned.com/mrt-bmw-e30-e36m-roll-center-bump-steer-angle-kit https://store.langracing.com/bump-steer-correction-kit-for-bmw-e30-m3/ Also @WYZEUP, what does the bump steer test cost? Basically because I'm too precious with it. It sits in the garage undercover mostly. I also don't want to daily it to my work as I work at a powerstation that has a lot of iron fallout that overtime takes its toll. The e36 is the sacrificial beast in this case. From other people's point of view, it's just a 316i pov spec e30 so why would I garage it over the e91 etc? Because I'm super proud of it and want to keep it mint I guess.